We are a recently formed company working across a range of settings including schools, Further Education colleges, Young Offenders Institutions and NHS trusts. We work with students and clients to build motivation and develop strategies to achieve success and our experience is based on 20 years of teaching in a range of educational settings. Our team have experience of teaching, senior leadership and neuro-liguistic programming coaching. We offer training sessions on motivation and achievement, 1:1 clinical NLP coaching and working with students to develop achievement in exams. For more information about the services that we offer, please visit the services page. Built on personal experience of overcoming adversity and problems and imparting that experience to others and helping them achieve more, recognising the potential in each individual, Darren found that his skills lay in the motivation of clients and colleagues, empowering them to achieve through positive approaches and a sense of humour building self-confidence and belief. It was through this approach that he began to see that what some saw as impossible became possible! Inspirate recognises the importance of achievement and building on the skills and attributes of individuals, equipping them with confidence and strategies to move forward and achieve beyond what they may have believed possible. Darren Smith – started off as a musician in the Royal Marines Band Service but after being injured and medically discharged embarked on a teacher training degree and took up his first post in 1994. He has since worked across a range of settings including mainstream, independent and special schools in roles ranging from class teacher to Acting Head Teacher. 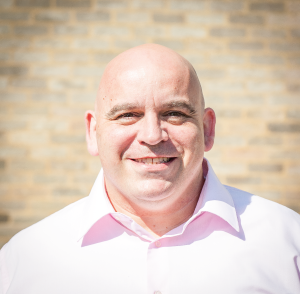 In 1999 he embarked on an Advanced Diploma at the University of Cambridge and has also worked as a freelance consultant on a prison project with AimHigher and he has recently completed his NLP coaching qualification. Darren has always believed in putting the individual student/client at the front of any thinking and as such has developed excellent communicaton skills with students across the age and ability range along with young adults and parents. As someone who is registered disabled, he has confronted adversity and overcome issues and that experience along with the skills he has developed as a teacher form the backbone of what he believes in and allows him to communicate on a personal level. Helen Chadwick – after graduating from the University of Portsmouth, Helen qualified as a pharmacist in 1995. Following completion of her basic grade posts, she specialised in paediatrics and then primary care. 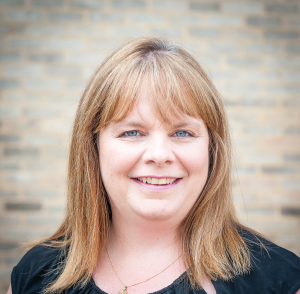 More recently she has been Chief Pharmacist in a Community Services Trust including mental health and offender care, and is now Clinical Director of Pharmacy in a district general hospital. Helen has been published a number of times and this has included work on antibiotics, self-medication and neonatal pharmacology. Mum of two, Helen is passionate about the patient being at the centre of her work and her team being empowered to deliver the best care possible. Our mission at Inspirate is to work with a range of clients, to boost self confidence and develop strategies that empower them to move forward and achieve all that they can. At Inspirate, the individual is at the centre of everything that we do. That way we are able to help young adults achieve the very best!